Arlington Babe Ruth Baseball’s eight-and-under travel team journeyed to Haymarket to compete for a state title last week, and they came home victorious. 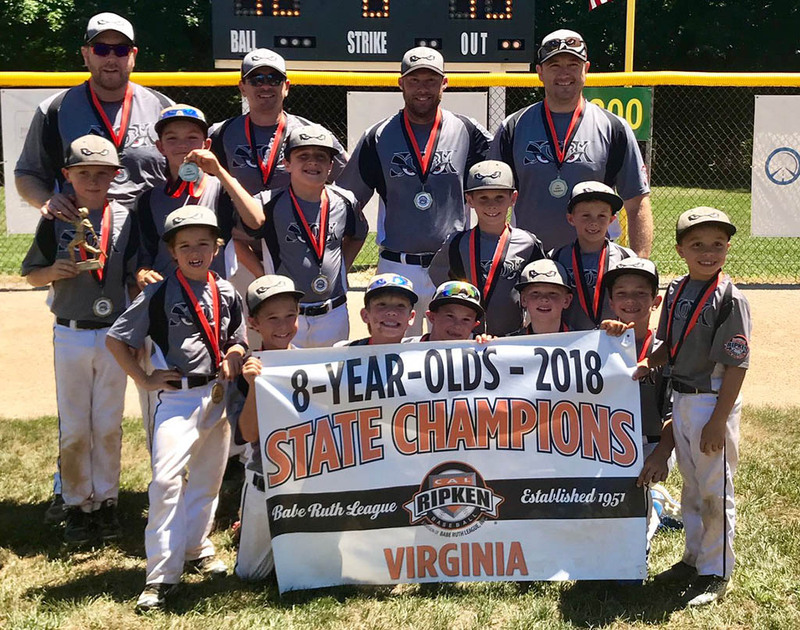 The 8U team, Storm, clinched the championship in their age group with an undefeated run through the tournament, including a 13-12 victory over a Fluvanna County team in the final game. The team will represent the state of Virginia in the Babe Ruth Southeast Regional Tournament, set to kick off in Ocala, Florida this coming Wednesday (July 18). Three other Arlington Babe Ruth travel teams also participated in state tournaments last week in the 9U, 10U and 11U age groups.